TaskTime4 is a reliable and versatile time-tracking solution. TaskTime makes keeping track of time spent on multiple client projects easy and efficient. With TaskTime you can track any number of clients and any number of projects for each client. Create invoices that can be emailed, printed, and saved to disk. Since you can have more than one project open at a time it is easy to switch between projects on the fly. Tracking expenses has never been easier. Each expense item can have an individual tax rate. 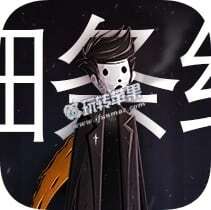 Copyright © 2012-2019 玩转苹果 保留所有权利.